CommScope has teamed with data center industry expert Donough Roche from Datacentrs, Inc. and other industry leaders in our MTDC Advisory Board to offer this eBook, Get the Most from Your Host. This eBook addresses best practices in the eight stages of planning, designing, migration and Day Two operations of an enterprise’s data center assets in an MTDC environment. The purpose of this eBook is to help you gain an understanding of the physical infrastructure, design requirements and strategic considerations that must precede a successful multi tenant data center deployment. For all the advantages possible from a multi tenant data center migration, it’s equally possible to realize negative results if these practices are not observed. As a dedicated partner and trusted expert for networks all over the world, CommScope knows how to deploy multi tenant data center infrastructure right—and, unfortunately, we’ve seen more than once what can happen when it happens wrong. 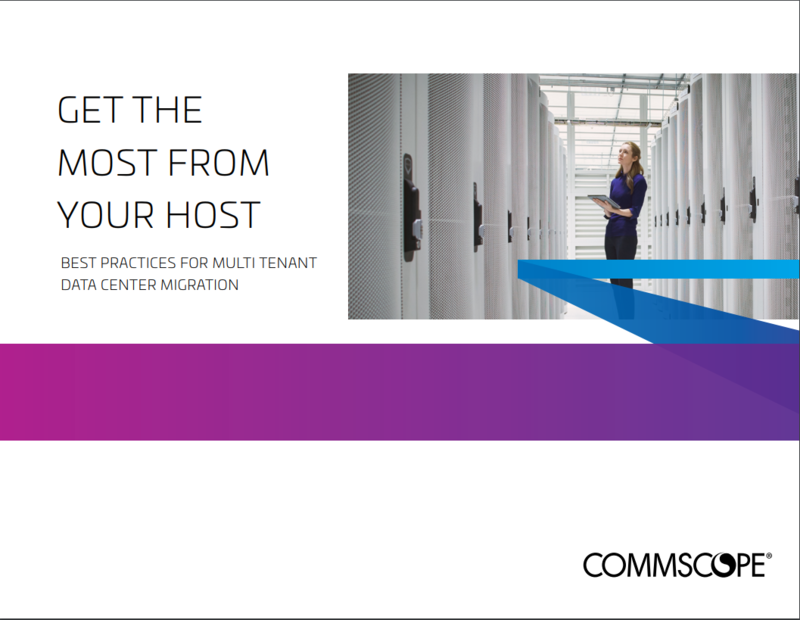 That’s why we’re putting this information in your hands right now—because your next multi tenant data center move is an important one.